NEW YORK, Mar 11, 2011/ — They were big in the 1970s and now they’re set to be big all over again for 2011. Yes, those traditional wooden heeled shoes from the Netherlands made a subtle comeback last summer but this coming spring get ready to spot them on every celeb and fashionista worthy of their title. 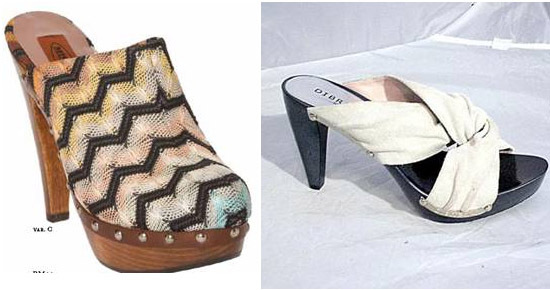 Thankfully they’ve been given a modern makeover and today’s clogs are a far cry from their 70s counterparts. Ruia, the SoHo based shoe boutique located at 65 Mercer Street NY 10012 that opened its doors to the public in December 2010, just love love love these hot Missoni clogs with their fun zigzag pattern or, if you’re still hesitant about clogs, these Dibrera numbers with edgy stud detailing are a more subtle nod to the trend.